Wow! They brought them in via backdoor! Nobody knew or heard about them being here... I thought they fell off the face of the earth or something! 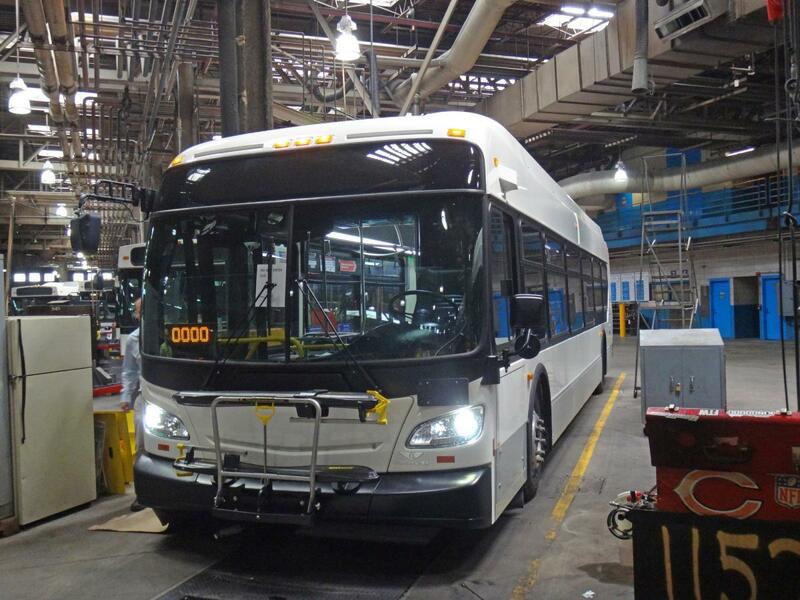 I'm wondering will this bus acquire black,gray,red, and blue striping before it's debut or will CTA use a special livery for it? 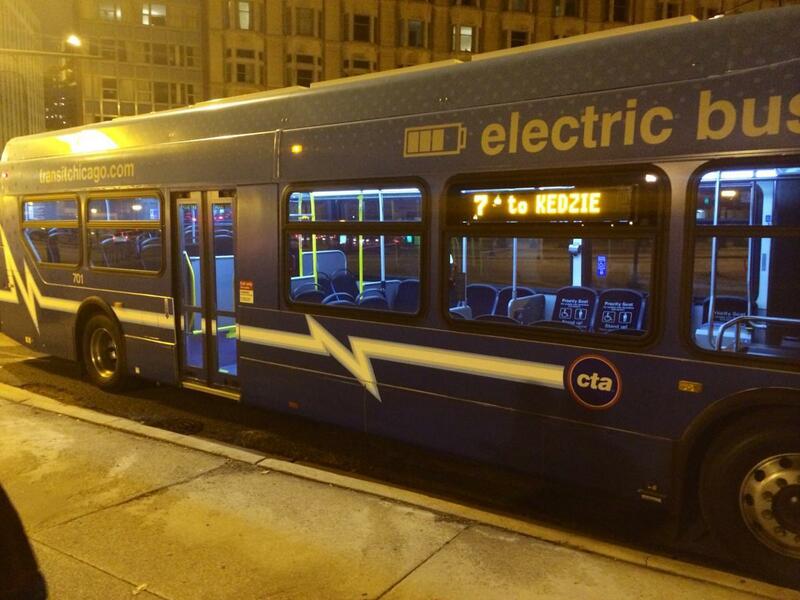 Damn, Does CTA even have any electric charging infrastructure in place? I'm surprised there's no livery. 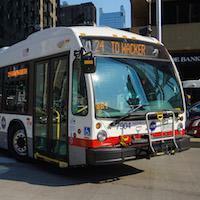 I wonder if that means CTA intends to wrap those like the #5900's for the life of the bus. (should've been painted anyway though) There also has been no payments on the payment database yet AFAIK, so there's no better bus than a free one. 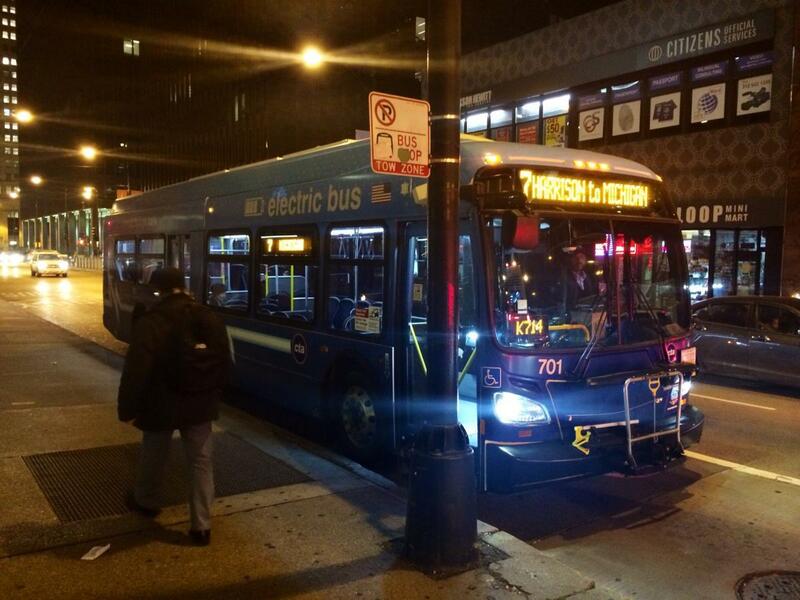 My friend who works at the CTA informed me that the two buses were delivered to Kedzie Garage. 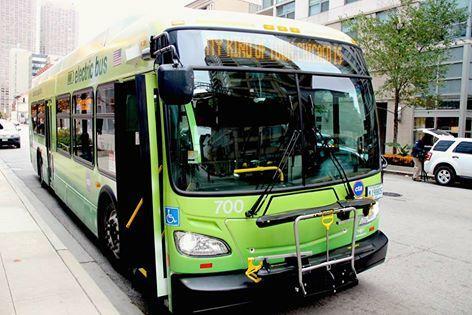 The buses are to be wrapped in two different "ecology" themed wraps. 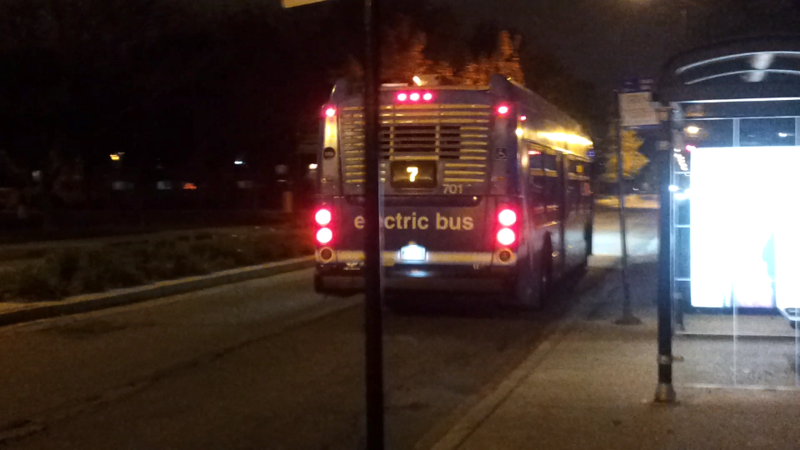 I wonder if Busjack's long time hypothesis, based on reports of where a charging station was supposed to go as well as logical thought experiments of these buses range off one charge, that these buses would mainly go on the 124 turns out to be true. Sense the operator brought it around for you to view, can you at least give us some insight to how it looks/runs? 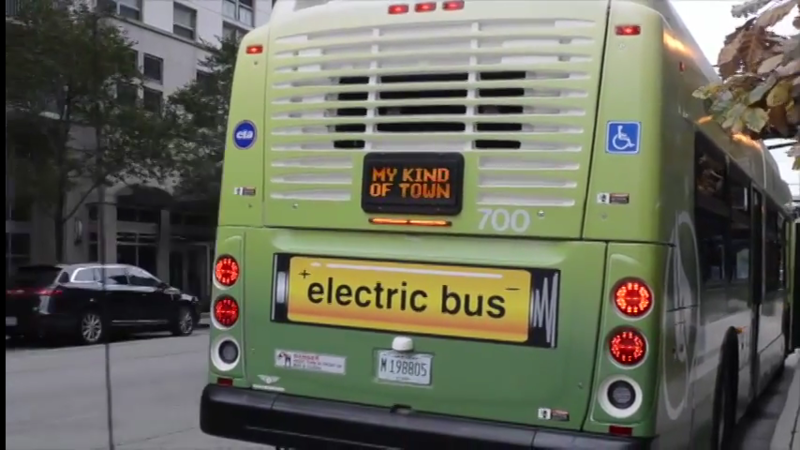 What seating is on the inside(presuming there is seating in the bus already) and how does this electric bus sound when it was being driven/idled? Is it totally quiet or is there some sort of whirring, buzzing or other type of sound from the electric motor? So what then, they dig a pit and build a shaft for the module so the bus can drive over it and get charged? That's kind of interesting, so if they only ordered one module they only have one charging station? (should've ordered two) Wow, I thought this would have already been done on CTA's end of things. So currently there's no way to charge the bus? 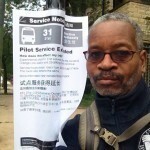 Looks like it will be a few weeks before it leaves Kedzie garage. Interesting that it was shipped direct to Kedzie, so if it needs heavy maintenance like at South Shops that work would have to be done at Kedzie. I'm not sure where you are going with this. Previously you posted a video of a NF bus with essentially pantographs or trolley poles on the roof making contact with the overhead charger. There is nothing in Mel's post that they were going to turn around and use some inductive technology. The way I understand it, according to the latest link above is that there has to be below ground excavation made for the module to be placed in it. That module feeds the power to the charging station so all the above ground infrastructure mentioned before is part of the above ground work, but the power originates from below ground. The power feed to the tower is coming from somewhere and I am seeing a power stem coming from below ground so that seems to fit what I'm saying. That's not how the inductive system works. According to that article, the inductive system "...a charge of 60, 120 or 180 kW can nowadays be delivered wirelessly" and "Inductive Power Transfer – or IPT® – is an energy transfer system for electric vehicles that works by magnetic resonance coupling. The system comprises two main components: a primary coil, which is connected to the electricity grid via an infeed converter, and a pickup coil with a rectifier, which is integrated in the floor of the bus. This technology permits automatic and efficient non-contact electricity transmission." The one in the video is clearly a contact technology, in that the pantographs contact something overhead. I'm not sure that one is the positive and the other the negative, but there sure is contact. Various inventors are suggesting something similar for Tesla, but that hasn't superseded the traditional 220 volt plug in charger. Oh my heavens! What a beauty! Inside, you would say it was a Nova, except there is obviously some underbody equipment that forces the set of longitudinal seats behind the partition (and the seats are not the same). Also, I wonder if the step at an angle behind the rear door is typical for an Xcelsior. The majority of the batteries are in the roof, however some are also inside the bus. The longitudinal seats are located over some of the interior batteries. Apparently it is. I've seen Xcelsiors used by other transit agencies with the step positioned that way. So what kind of seats are those? Looks like the same as what's on #4155. Also where does it say the bus number is 700? Thanks for the pictures, the bus seems to be running in the picture but how unless there is a charging station there already. It does have the gray trim on the bottom of the bus. The bus was very quiet when driven to our group. When we were on the bus we could not hear anything. 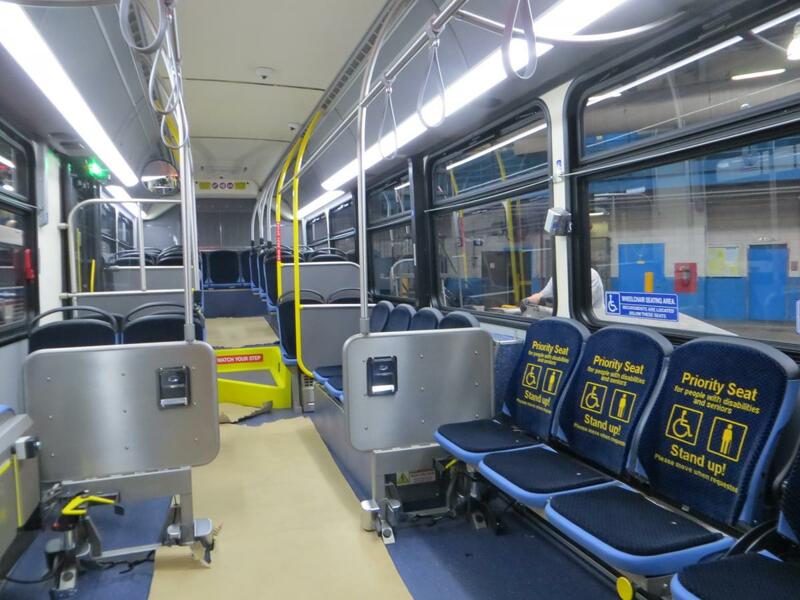 That one set of seats in the middle of the bus should go over well with Chicago commuters, if the response to "bowling alley seating" on the L cars is any indication. 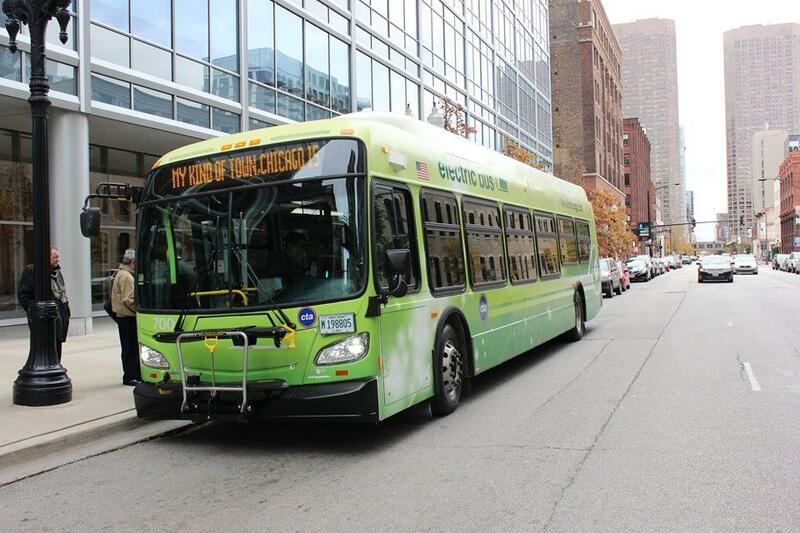 Well being that these are new technology buses purchased with a Federal Grant, I can see these buses assigned to a route where they can be ridden and viewed by the general public during down time... and no other route comes to mind better than the #10 Museum Of Science and Industry route out of Kedzie conveniently. It starts at Chicago and Michigan and runs south to the Museum Campus, where I can envision a charger being put and the buses be parked for a point during their time out and a New Flyer, Siemens and CTA Representative at to explain to the public about these two buses and how they are truly zero emission and run on nothing but battery power... no Diesel engine except for a small one to power the heat/A/C unit. It's not the smallest route, but not too terribly large either. They'd need charging infrastructure somewhere along that route though especially when it comes to keeping the motors charged to handle the higher speeds that are potentially encountered on South Lake Shore Drive during the 7 to 10 hours that that route is in operation. Reports that they're supposed to be getting that infrastructure in place near Navy Pier along with the fact that they delivered these to Kedzie makes me inclined to believe and agree with Busjack's longstanding hypothesis that 124 is where we'll see these a lot.